Police Commissioner Designate Darryl De Sousa gives opening remarks at his executive nomination hearing Wednesday night. NATHAN: I think the big question on everyone’s mind is how does De Sousa plan on gaining the public’s trust after the revelations of the Gun Trace Taskforce trials? DOMINIQUE: So corruption was at the forefront of the everyone’s minds and multiple people brought up the question, again and again, as to how De Sousa plans on weeding out corruption. DOMINIQUE: He also talked about implementing an anti-corruption unit, lie-detector tests, an inspector general to oversee the implementation of the consent decree, and an overtime abuse unit. NATHAN: What about this notion that De Sousa said during the GTTF trials that the corruption was due to a “few bad apples”? DOMINIQUE: That was quoted and brought up by multiple people last night, including District One Councilman Zeke Cohen, who told De Sousa it didn’t sit right with him. DOMINIQUE: District Eight Councilman Kristerfer Burnett also brought up the same issue and sighted a larger systemic problem with the culture within the department that led to the GTTF trials and the Justice Department investigation. DOMINIQUE: He went on to say that police feel they can’t hold each other accountable, and that, in turn, increases mistrust in the community. Burnett said his constituents don’t feel comfortable calling the police. This spoke to the larger issue of what the Consent Decree is addressing trust and relationships between the police and the community. In response to all this, De Sousa apologized. NATHAN: Let’s go back for a minute. Help us understand, why is this committee hearing so important and well-attended by Baltimore residents? DOMINIQUE: To understand why this hearing was a big deal to Baltimoreans, we have to look back at what happened in 2015 following the death of Freddie Gray. 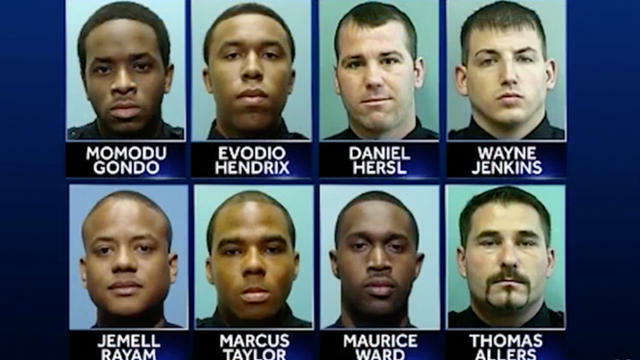 Former Mayor Stephanie Rawlings-Blake fired then-Police Commissioner Anthony Batts and hired Kevin Davis. Davis’s nomination hearing went on till 4am, with protestors refusing to leave the City Hall hearing room until they had a one-on-one with Davis to address their concerns about the police department. Last night more than 50 people signed up to speak in public testimony, and the overflow room had to be used. The meeting went on for three and a half hours. NATHAN: If questions or requests were made of De Sousa prior to this hearing, what were they? DOMINIQUE: On Tuesday, the NAACP’s Legal Defense and Education Fund even sent city council members questions to ask De Sousa in advance. The questions covered everything from addressing corruption in the department in light of the revelations of the Gun Trace Task Force, to carrying out the Consent Decree, to ensuring the police academy is taking steps to address officers that failed scenario-based tests. On Wednesday, Baltimore BLOC, a community organizing group, tweeted out a list of three demands for De Sousa. These were: 1. Delaying the confirmation until De Sousa met with community-organizations in every police district to hear their complaints and answer questions. 2. That De Sousa’s Internal Affairs record be released to the public for transparency. 3. That De Sousa support disbanding the department for a peace building authority. Also, BUILD -- Baltimoreans United In Leadership Development -- asked to meet with De Sousa on March 6th in a community listening session to hear the concerns and questions of the community. 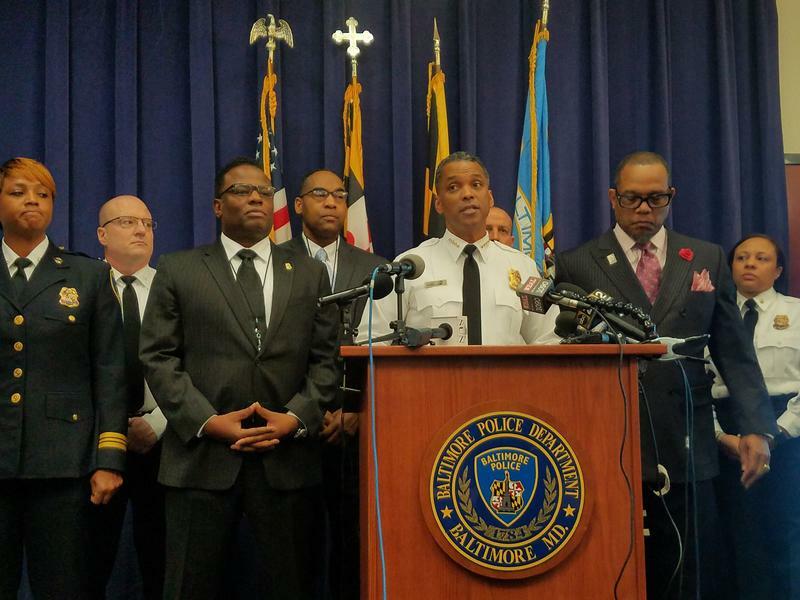 NATHAN: Another big question that District Two Councilman Brandon Scott and District Three Councilman Ryan Dorsey brought up was pushing for legislation at the Maryland General Assembly for the city to regain control of the police department. How did De Sousa respond? DOMINIQUE: De Sousa struggled with this response. DOMINIQUE: In that De Sousa did not say he would push for that kind of legislation in Annapolis. In the past Mayor Catherine Pugh has said she would not be in favor of regaining control of the department, and last week, City Solicitor Andre Davis told me in an email that it would have several legal implications for the city, but would not go into detail. NATHAN: Something that has been reported on by WYPR and other news agencies is that De Sousa did have a past record of fatally shooting civilians on the job back in 1995, did any of the council members bring up his past disciplinary records? DOMINIQUE: De Sousa reacted to Walsh’s story at the end of the night following his confirmation. 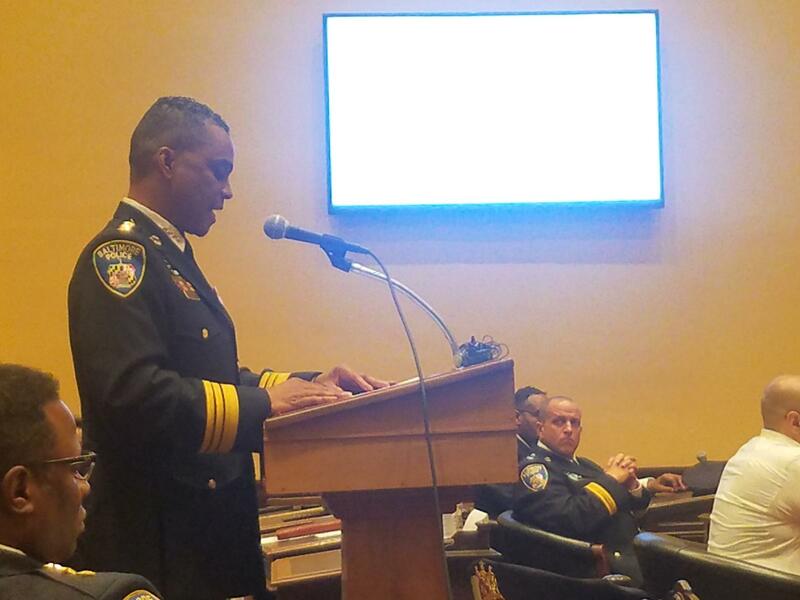 Baltimore’s acting Police Commissioner Darryl De Sousa announced additional internal changes to the department Friday. The appointment of one deputy commissioner, Thomas Cassella, is being held up. De Sousa had named Cassella to be Deputy Commissioner for the Operations Bureau, but documents were leaked to the media alleging two disciplinary complaints against him.